An agreement that made sense for you and your child at the time of a divorce or separation may not be working several months or years later. A lot can change, and the lawyers at the Women & Children’s Law Center in Oklahoma are here to help you make changes to those agreements. Our focus is always on what is in a child’s best interest. The court system in Oklahoma offers several paths toward modifying your child support agreement. Whichever you choose, consulting an attorney is critical. There are basic guidelines that are used to determine child support payment amounts. As circumstances change, support may need to be adjusted. If you or your former spouse have moved, changed jobs, or modified your visitation of custody agreements, it may be time to take a look at updating your support agreement. Our family law experts are here to answer all of your questions and provide the assistance you need. Recent laws put in place to enforce visitation agreements may also make it more complicated to change your visitation agreement. Every situation is different, and it is important to consult an attorney so that you fully understand your options and how the laws apply to you. Don’t take it upon yourself to impose visitation changes on your former spouse. With the new laws, even if you are the custodial parent, any interference with a court-approved visitation plan could result in changes to your custodial status. If you have concerns for your child’s safety or well-being related to visitation, contact us here at the Women & Children’s Law Center. Joint custody can be difficult under the best of circumstances. 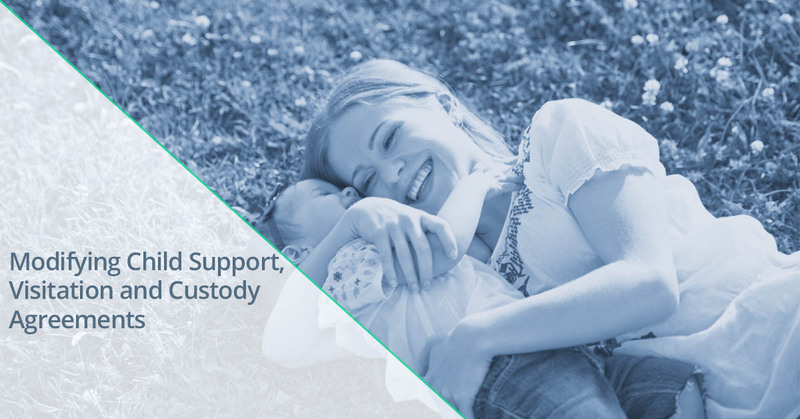 When your circumstances are less than ideal, joint custody can create problems that impact everything from your work to your child’s well-being. Whenever you are seeking to modify a joint custody agreement, it is important to consult an attorney. A misstep during the process could cause long delays. And if you are concerned for your child’s safety or well-being, those delays can have dire consequences. First, you need to understand exactly how Oklahoma law applies to your custody agreement. In the absence of any contrary evidence, the law is designed to support a child having frequent interaction with both parents. Over time, however, it may no longer be in a child’s best interest to have frequent, or any contact with one parent. If one parent abuses drugs or alcohol, or becomes involved in an abusive relationship that puts a child in harm’s way, a judge is more likely to reverse a joint custody order. Keep in mind that failing to pay child support is not grounds to deny visitation. Get the advice of an attorney before making any changes to your custody agreement, even in the case of failure to pay child support. Call us. We’re here to help.